Soda Masahito studied industrial design at the Nihon University College of Art, Department of Design (didn't finish). It's crazy how passionate and intense Soda Masahito makes his characters in his mangas. They are talented, desperate, and selfish. Not lacking one bit except the romance. Y did you not continue the capeta anime? It is probably my favourite anime but why did you leave it hanging. I do not mean to insult you but I never liked how the manga was with its art and the anime seemed more .... well thought out probably because it was created after the manga. Please consider continuing the anime. I know its not for you to decide but I think you should know that there are hundreds of people who would like for the anime Capeta to be continued. Amazing artist here. Love the sketchy style in Subaru. but Subaru is very good. Love dance Subaruuu!!! 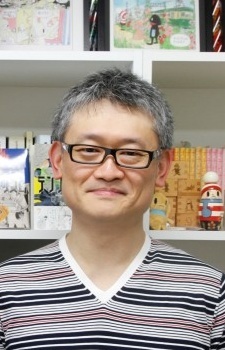 Amazing manga and the mangaka! !